View river and stream water levels in real-time. Help us take Action through the Capstone Campaign! Support the Credit Valley Conservation Foundation’s fundraising campaign to build a piece of the legacy Credit Valley Trail. With your help we will secure this important property. Conservation Youth Corps Registration is now open! The CYC Summer Program is a youth volunteer program full of fun, learning and hard work! 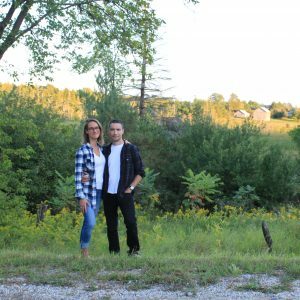 Stevan Plavsa and Megan McKenzie moved from East York to Mono two years ago. CVC and TRCA offer a great variety of parks to explore. Help us conserve natural areas for everyone to enjoy. Girl Guides: Learn with Us! CVC offers fun, hands-on programs that meet a variety of environmental badge requirements.